This PVC Compounding Mixer is used in mixing,stirring,drying,coloring of plastics,rubber chemicals for daily use. PVC compounding mixer is an ideal advance equipment of producing plastic board, pipe, profile and degradation plastics. 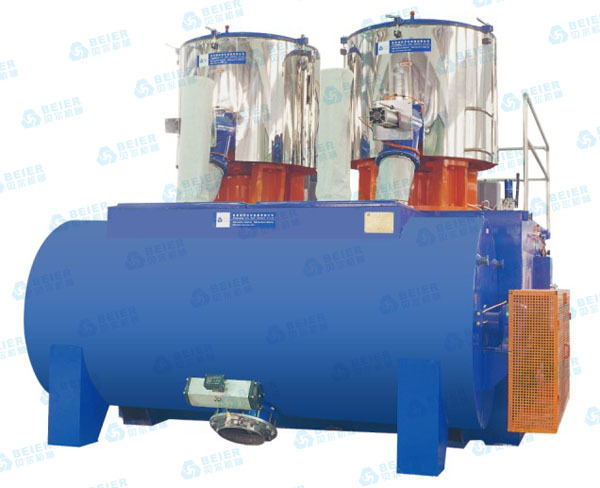 We digest and absorb foreign advanced technology in making mixer,which adopts the vacuum mixing principle. The electric meters all adopt imported famous brands and adopt PLC controlling, which has character of high automation, quick mixing, the blade is precisely cast of stainless steel and treated by dynamic and static balancing,Especially, the blades of colling machine adopt the advanced spiral stirring structure, which avoid dead angle, and with the feature of quick cooling, thoroughly discharging;high efficient of mixing .